Freshen up your simple, go-to look by welcoming in a classic style with golden, champagne diamond accents. 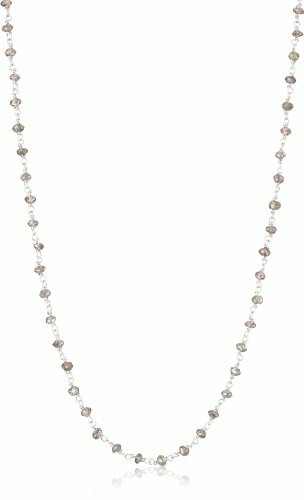 The Sethi Couture Champagne Diamond 16″ Wire Wrap Chain features a stunning pattern of diamonds wrapped throughout a white gold, cable chain. Simple and sweet, this piece can be worn alone or paired with a diamond-accented pendant for an extra boost of glam. 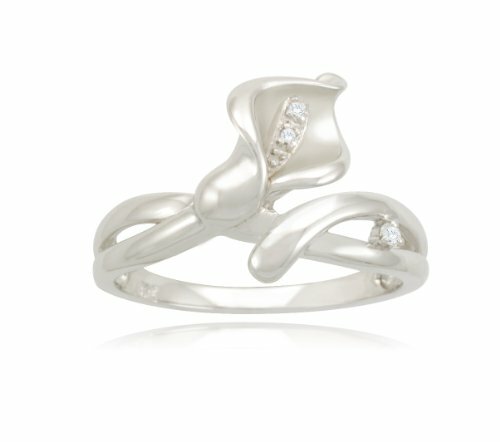 Rare, sophisticated and exquisite, this ring exposes the beautiful inside of a lovely pearl. A slice of elegance, wearing this Jordan Alexander ring makes a statement about your penchant for nature and luxury. 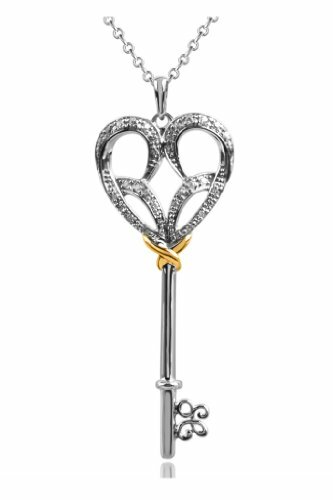 This stunning Heart Diamond Key Pendant is part of the Jessica Simpson Fine Jewelry Collection. Each silhouette is formed from the lines of Jessica’s artistic, personal and expressive signature and have been sculpted to create a completely iconic collection. 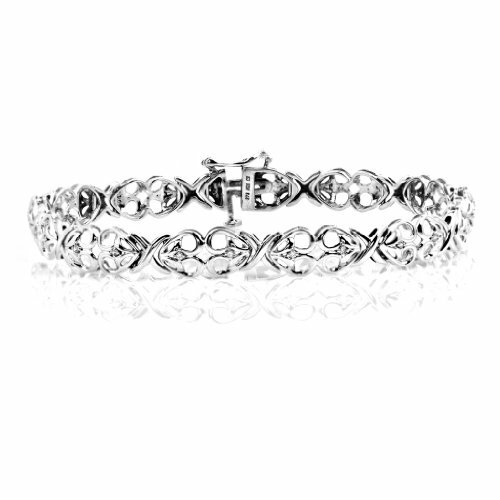 This stunning Heart Bracelet is part of theJessica Simpson Fine Jewelry Collection. Each silhouette is formed from the lines of Jessica’s artistic, personal and expressive signature and have been sculpted to create a completely iconic collection. 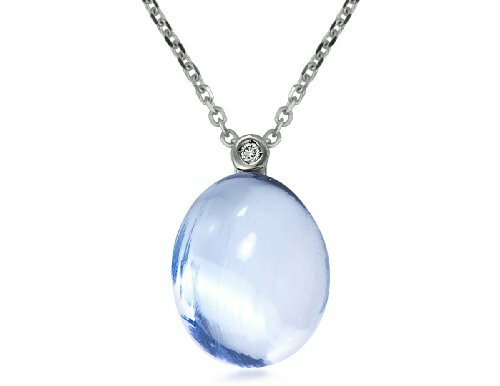 Color Story ® River Stones Collection Large Blue Topaz and Diamond Pendant Necklace in 14k White Gold. 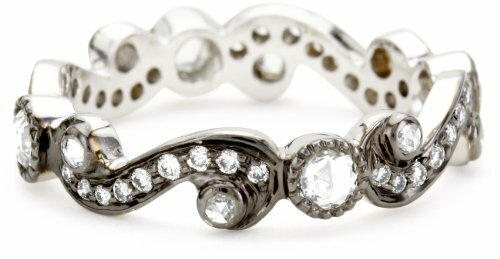 Accent your devout style with luxe adornments when wearing this diamond cross ring by Katie Decker’s Aragon collection. This piece creates a look of luxury for everyday wear. 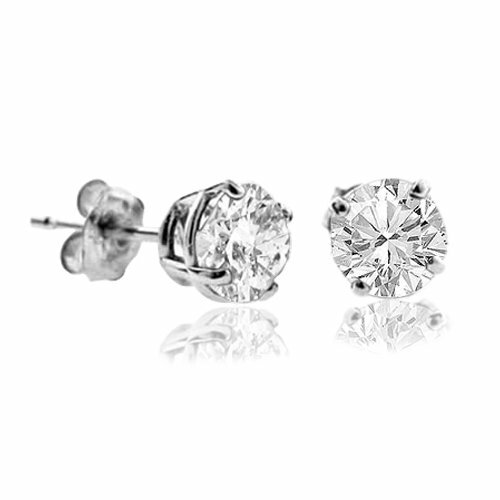 Diamonds fashion a sophisticated and luxurious look. For a unique touch of glam, jazz up the classic diamond style with a splash of rose gold color and design. The Sethi Couture White Diamond Rose Gold Pear Shape Pendant Necklace showcases a rich look of sparkling diamond luster with a dangling briolette accent. Highlight the elegant style of your ensemble by pairing this necklace with a few other delicate gold pieces. 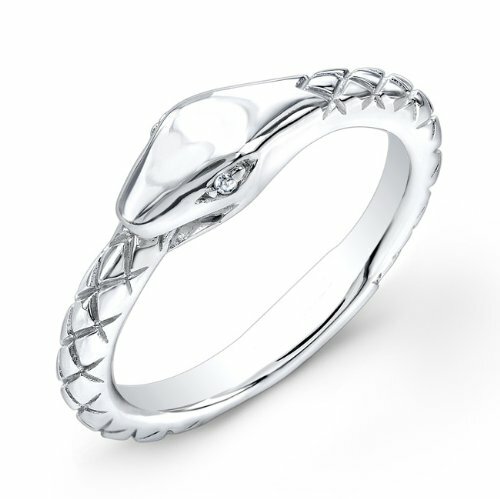 The Victoria Kay snake ring features two stunning 0.01ct white diamond accents that are bezel-set in sterling silver. 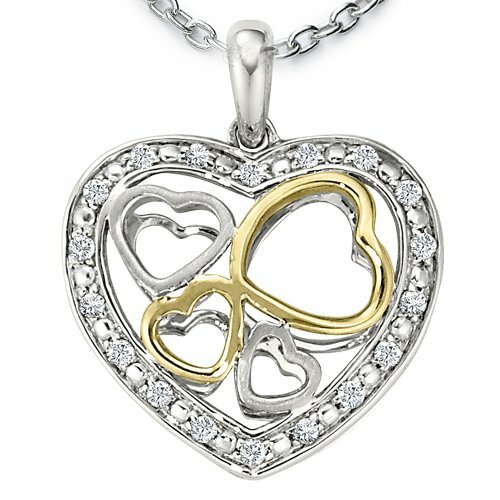 Available in rose, yellow and black rhodium-plated silver as well as size 6-7. 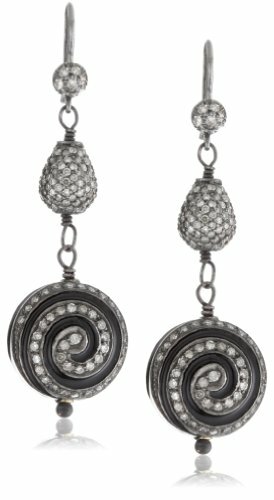 Get a little lost in the hypnotizing glam of the Jordan Alexander Black Onyx and Diamond Pinwheel Earrings. 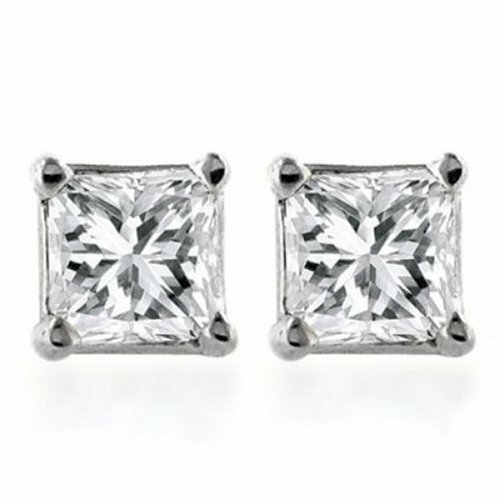 The perfect blend of style and glam, this pair dangles a touch of style from your lobe. This polished look easily transitions from a casual daytime outfit to an elegant evening ensemble. The Mizuki Silver Ball Necklace with 14k Diamond Starburst mixes edgy street wear with a classic look. A 17-inch oxidized silver wheat chain with lobster claw clasp application offers remarkable durability. Suspended from the chain is a signature oxidized 925 sterling silver blackened ball adorned with a removable 14k yellow-gold starburst charm. The charm features natural white full-cut diamonds that measure .05 carats in weight. Pair this engaging necklace with your trendiest evening wear for a sophisticated touch. Be tastefully bold and choose a grand, statement-making cocktail ring to dress up your next evening look. Full of modern trend yet timelessly classic, the Katie Decker “Lotus” 18k Diamond and Tahitian Pearl Ring features a sleek black pearl dome set in a highly detailed shank. The lustrous pearl sits boldly on your hand with light shine and charming personality. Amp up your little black dress by wearing this ring with a stack of diamond-adorned bangles. 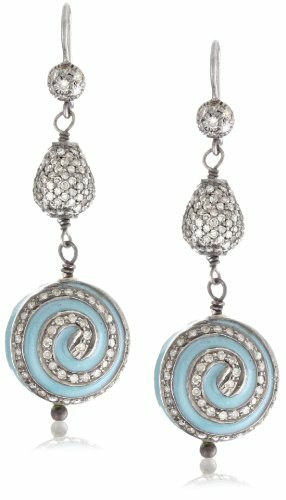 Get a little lost in the hypnotizing glam of the Jordan Alexander Turquoise and Diamond Pinwheel Earrings. 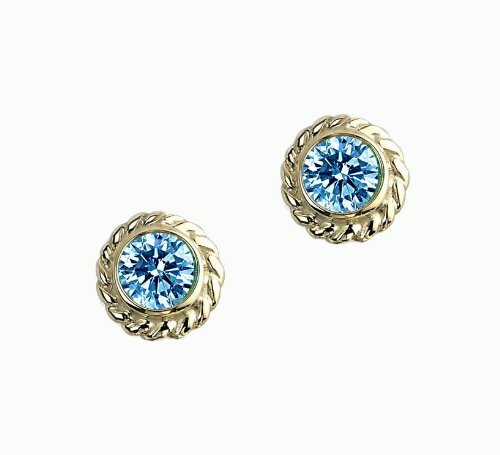 The perfect blend of style and glam, this pair dangles a touch of style and turquoise color from your lobe. This polished look easily transitions from a casual daytime outfit to an elegant evening ensemble. 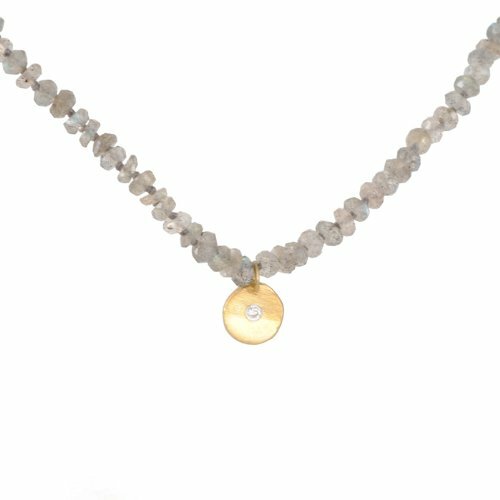 Get a little lost [in hypnotizing luxury] when wearing the KC Designs “Estate” Diamond 14k Yellow Gold Large Disc Pendant. This stunning spin on a classic pendant necklace creates the illusion of a spinning wheel at your neckline. Inlaid with a sparkling array of diamond studs and embellishments, this piece adds the right amount of luxe detail to a sophisticated daytime look or simple evening dress. Freshen up your simple, go-to look by welcoming in a classic style with sultry, black diamond accents. 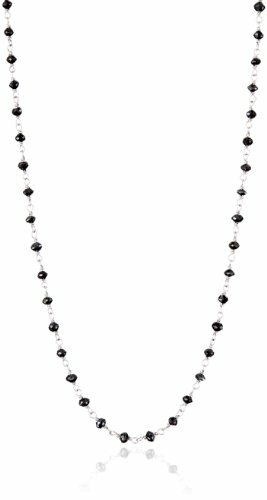 The Sethi Couture Black Diamond 24″ Wire Wrap Chain features a stunning pattern of diamonds wrapped throughout a white gold, cable chain. Simple and sweet, this piece can be worn alone or paired with a diamond-accented pendant for an extra boost of glam. Lock your keys in place with style by hosting them on this key ring by Edward Mirell. This quality designer piece makes for an impressive accent to something you carry at all times. Be tastefully bold and choose a grand, statement-making cocktail ring to dress up your next evening look. Full of modern trend yet timelessly classic, the Katie Decker “Ivy” 18k Diamond and South Sea Pearl Ring features a shiny white dome set in a highly detailed shank. The lustrous pearl sits boldly on your hand with light shine and charming personality. Amp up your little black dress by wearing this ring with a stack of diamond-adorned bangles. Classic Mizuki, these earrings give your look a boost of evening glam. The oxidized silver and diamond accents are a bit edgy with a touch of luxury. Flirt with fashion trends while finding new ways to plant lush, floral inspiration into your everyday accessories. 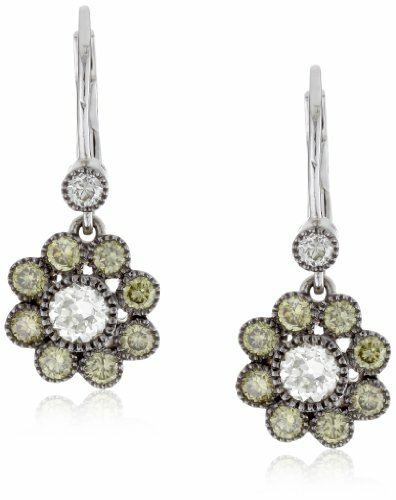 The Sethi Couture Green and White Diamond Cluster Drop Earrings infuse a natural, flower style design into an everyday look that can be worn year round. The simple color palette pairs well with other classic diamond pieces from your collection while adding its own unique flair to your ensemble. I. Reiss 14K Gold Ring, Accented with Diamonds. 14K Gold High-Polish Finish Hand-Crafted Ring, Enhanced with 0.25 Carat of Pave Set Diamonds. Accent your evening look with a gorgeous set of diamond earrings by Moritz Glik. A beautiful blend of classic set diamonds and the signature floating accents, this pair boasts fine elegance with personality. A gorgeous, delicate design filled with glam detail is seen in the Jordan Alexander Pave Diamond Half-Ball Earrings. 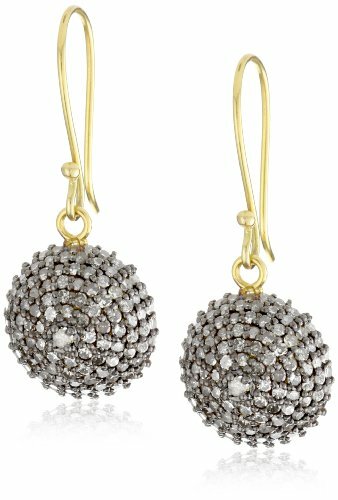 A dangling design, these earrings showcase a look of full on luxury. The diamonds add a sought-after quality that pairs well with any chic collection. 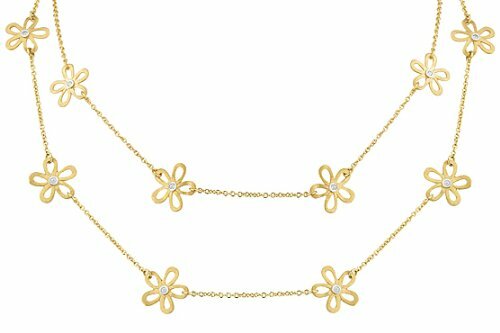 I. Reiss 14K Gold Floral Necklace Set with Diamonds. 14K Gold Matte-Finished 36′ Floral Necklace Set on a Cable Wrap-Around Chain, Accented with 0.25 Carat of Bezel Set Diamonds. Use your accessories and overall ensemble as a canvas for expressing yourself. Everything from dramatic details to simple, charming elegance surfaces ideas and emotions. 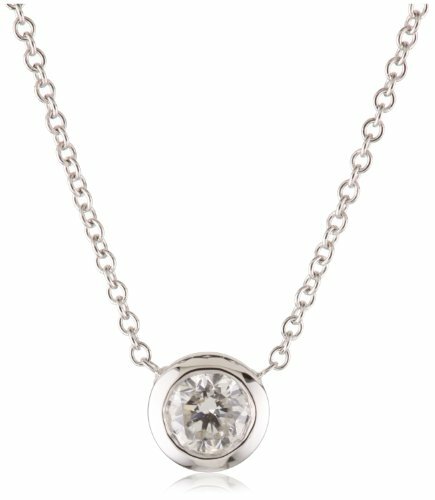 The KC Designs “Trinkets” Diamond 14k White Gold Large Pave Disc Pendant expresses the simple love and care for a cherished item. Embellished with diamonds, this piece is not just meaningful, it is full of sparkle and style. A classic diamond pendant pairs well with anything so stack on your favorite accessories and go on with your day’s stylish ambition. A modern twist on a classic shape, these pyramid earrings are a great staple earring for a woman with a unique sense of style. 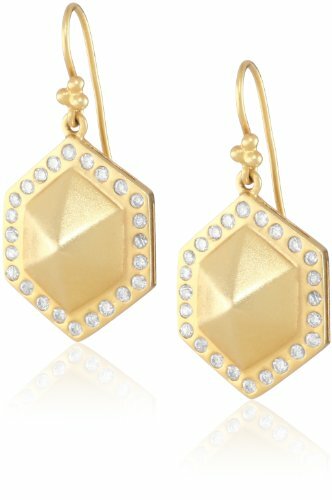 The soft matte finish of the yellow gold makes these earrings appropriate for day or evening wear. Update your everyday style and your classic white gold chains with an ornate work of art by Katie Decker’s Gothic collection. 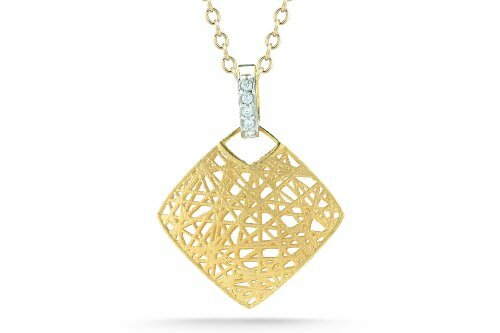 Architectural elements blend seamlessly into this edgy, micro pave diamond design. Slip on sandy color and earthy charm when wearing the Jordan Alexander Sandalwood with Diamond Cross Bracelet Set. 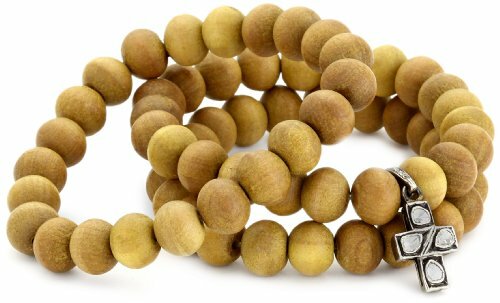 Three layers of wooden beads invite a look of natural style into your outfit. The diamond-accented charm adds versatility to this set that pairs well with both casual and luxury driven styles. I. Reiss 14K Gold Diamond-Shaped Pendant, Enhanced with Diamonds. 14K Gold Hand-Crafted Matte-Finished Diamond-Shaped Nest Pendant, Enhanced with 0.05 Carat of Pave Set Diamonds, Sliding on a 16 Cable-Chain. The Victoria Kay diamond dove pendant features a disk of sterling silver with a cut-out dove and a diamond-lined edge. Hangs on an 18″ chain. Flirt with fashion trends while finding new ways to plant lush, floral inspiration into your everyday accessories. 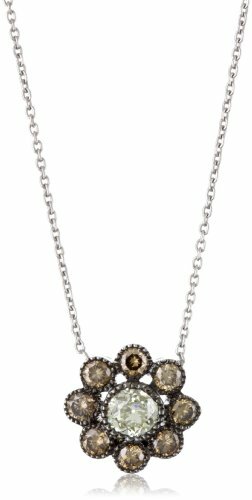 The Sethi Couture Champagne and White Diamond Cluster Pendant Necklace infuses a natural, flower style design into an everyday look that can be worn year round. The simple color palette pairs well with other classic diamond pieces from your collection while adding its own unique flair to your ensemble. 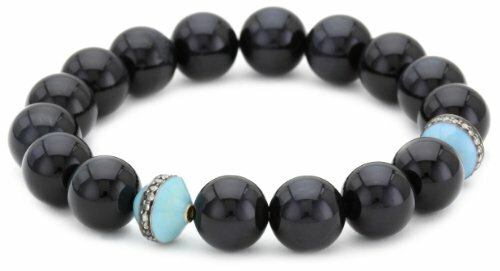 Dark and sultry, the beaded features of the Jordan Alexander Tiger Eye with Turquoise and Diamond Bead Bracelet wrap your wrist with edgy glam. The beads embellish your look with evening style and pop of bright turquoise color. 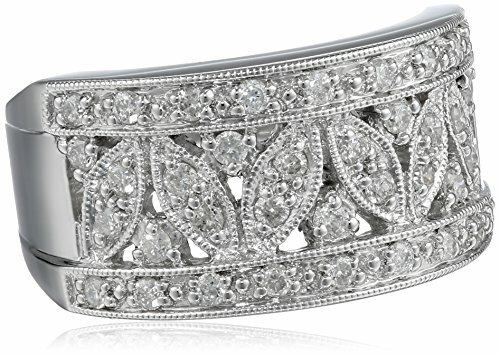 Accented with shimmering diamonds, this bracelet dresses up your night when paired with a black, silhouette outfit. When accessorizing your look, it is important to make sure you are incorporated into your style. A simple and classy way to personalize your outfit is wearing an embellished initial like the KC Designs “Initially Yours” Diamond 14k White Gold Letter A Pendant. Sweet and luxurious this piece not only pairs well with everyday outfits, it gives you an excuse to wear diamonds throughout the day. Wear alone for a timeless, classic look or layer with other diamonds for a united, sparkling effect. Celebrate any occasion with champagne diamonds. This stunning pendant by KC Designs Tres Chic collection boasts rich rose tones for an elegant, feminine look. Building on Alex Woo’s original bamboo collection, the designer has refined the Zhuli to make them much sleeker, yet still accentuate her attention to craftsmanship and fashionable patterns. Reflecting nature with an Asian-inspired symbol of luck and strength, the Zhuli hoop earrings represent a woman’s inner strength, elegance, and resilience. Their alternating shiny and matte finishes epitomize exotic glamour and embody the modern spirit of today’s sophisticated woman. Inspired by a classic, Moroccan design, this pendant by Katie Diamond creates a unique look for everyday wear. Accented with a hint of turquoise, this piece adds character to your ensemble. 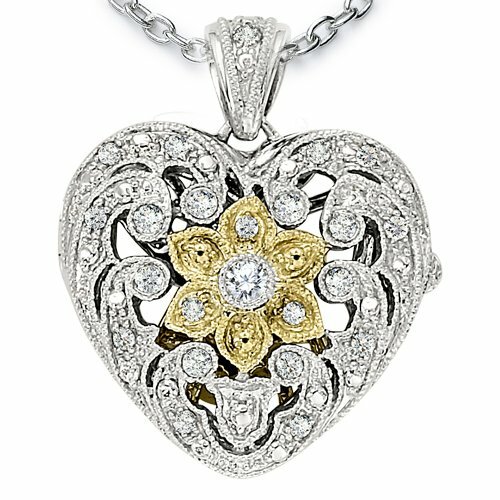 This petite diamond heart pendant is made out of sturdy sterling silver and covered in 12 brilliant round white diamonds. Celebrate any occasion with champagne diamonds. This stunning piece by KC Designs Eternity Bangle collection boasts rich rose tones with an edgy rhodium finish. Leave your mark on all you encounter with this bracelet by Edward Mirell. Smooth and contemporary grey titanium with sterling silver embellishments boasts four black diamonds. A bold look that complements any man’s style with glistening authority. 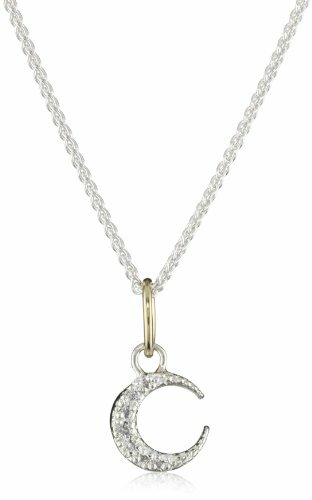 We can think of a hundred reasons to love diamonds and Mizuki’s crescent necklace is one of them. Add charm to a classic look with delicate luxury when wearing this elegant pendant. Freshen up your simple, go-to look by welcoming in a classic style with sultry, black diamond accents. 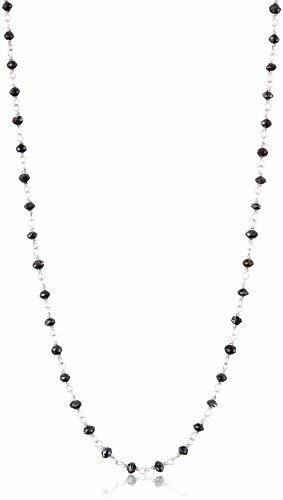 The Sethi Couture Black Diamond 16″ Wire Wrap Chain features a stunning pattern of diamonds wrapped throughout a white gold, cable chain. Simple and sweet, this piece can be worn alone or paired with a diamond-accented pendant for an extra boost of glam. For a completely glamorous redesign, dust yourself off and put on something sleek and sultry like this swaying tassel silhouette by Katie Decker’s Gothic collection. Put some swing into your evening with these sultry earrings. This season, dress her in luxe diamonds with elegant accents. This stunning piece by KC Designs Eternity Bangle collection boasts rich rose tones with an edgy rhodium finish. Your luxury look does not have to be sophisticated and white. 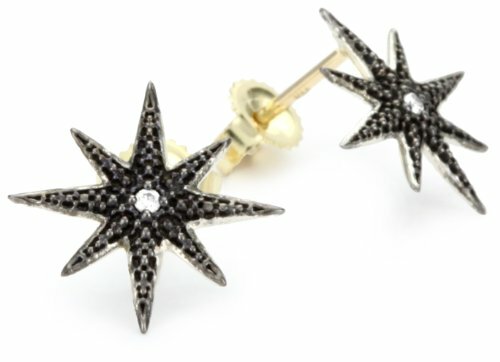 Black diamonds boast edgy appeal with fine charisma so be unique and show off this sultry style at your next evening outing or black tie affair. Meticulously crafted in 14k, this exclusive design by NATURAL DIAMOND is available to you directly from the source. 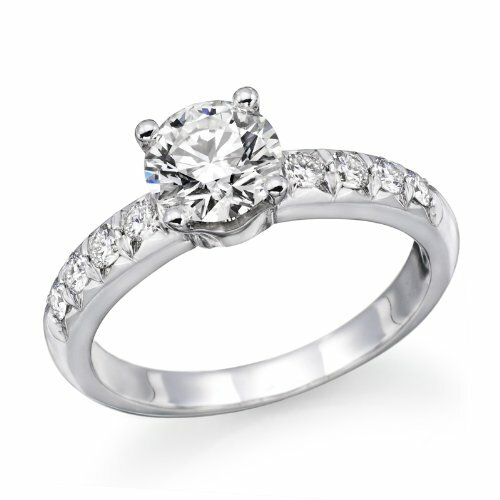 This design is featuring a sparkly 0.50ct center stone, graded H-I / I1-I2 natural diamond (not treated in any way) this beautiful piece is available in 14K gold, 18K gold or platinum. If you love the design but prefer a different center stone or would like to have a different design with the same center stone please contact us anytime to receive more options.